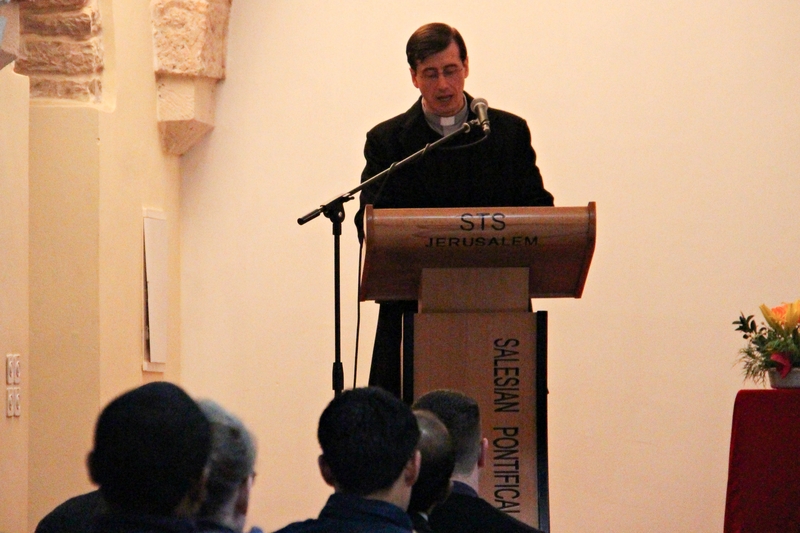 February 1, 2018 – STS - Jerusalem On February 1, 2018, the Studium Theologicum Salesianum (STS) opened the Spring 2018 semester holding a conference entitled: “Toward Practical Ecumenism: On Catholic-Lutheran Relationship”, in occasion of the 500th anniversary of the Reformation. The Chief Guest was Rev. 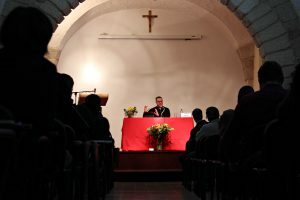 Robert G. Smith, Academic Director of the Jerusalem Global Gateway program, a global consortium of the University of Notre Dame institutions of which Tantur Ecumenical Institute is part. He earned his BA from Oklahoma State University and his PhD from Baylor University. For the past several years, he served as the Special Adviser to the President of the Lutheran World Federation, Bishop Munib Younan. Smith is author of More Desired than Our Own Salvation: The Roots of Christian Zionism (Oxford, 2013) and editor, with Swedish scholar Göran Gunner, of Comprehending Christian Zionism: Perspectives in Comparison (Fortress, 2014). After the prayer to the Holy Spirit and the words of welcome, the Principal of STS, Fr. 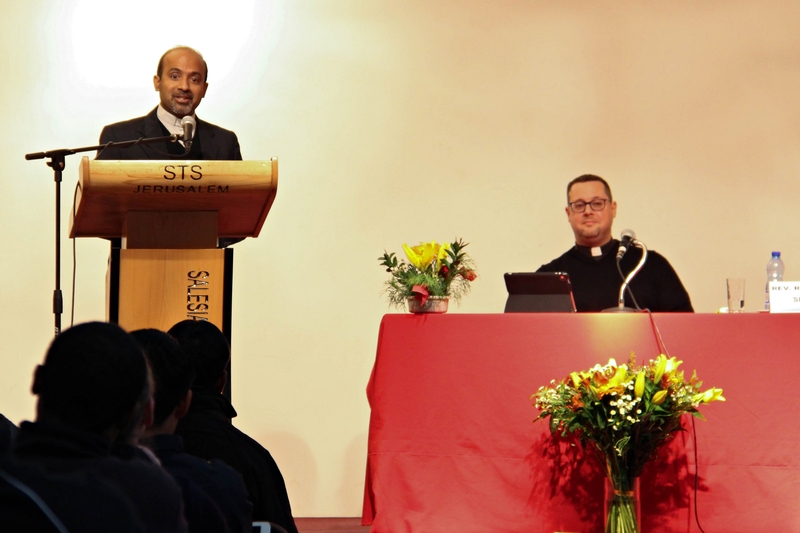 Gustavo Cavagnari, SDB, introduced the Chief Guest and underlined in his greeting the importance of the topic, especially for those taking the Diploma in Inter-religious Dialogue and Ecumenism. He also made a reference to the Pope Francis’ new Apostolic Constitution “Veritatis gaudium”. In his conference, Rev. 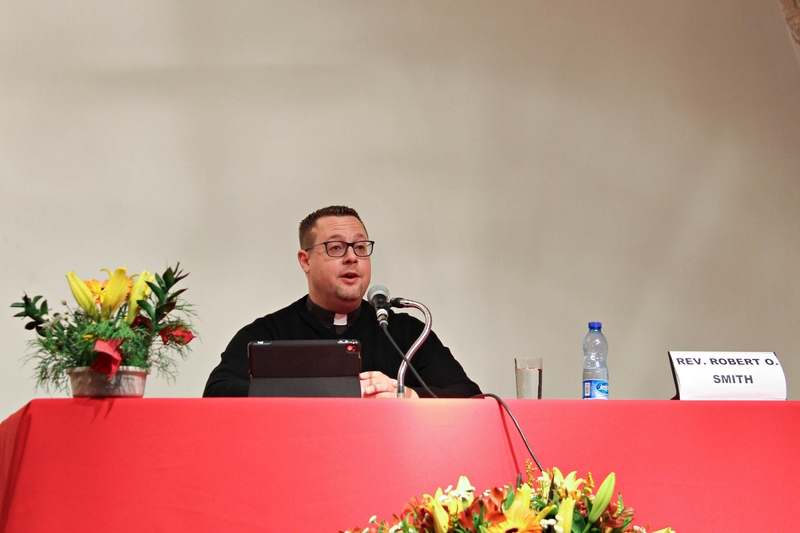 Smith emphasized the essential importance of reconciliation and dialogue among Catholics and Lutherans, by quoting St. Paul: God “has committed to us the message of reconciliation” (2 Cor 5:17-19). He added that this vision of God’s reconciling embrace in Christ Jesus and call to the ministry of reconciliation has animated his career of engagement across lines of ecumenical and inter-religious difference. He stressed also the confession that Jesus is the incarnation of a universal God with a universal mission, and so we are called into a life of global awareness with an unceasing commitment for the wellbeing of the poor. In this sense, he briefly added practical ecumenical and interreligious cooperation in the relation to the three interlocking areas of international law, global migration, and climate justice. Rev. Smith cited later the text “From conflict to Communion”, highlighting the five ecumenical imperatives presented in the document, and he concluded saying that we are all disciples of Jesus, even if we have different paths. We should now freely affirm to one another that we follow the One who has broken down the dividing wall, and therefore we have to seek unity and not division for the good of the society. Rev. Richard Amalanathan, SDB, moderated the questions and answers session, where time was given to all the participants seeking clarification and comments on the matters under discussion. Rev. Robert briefly answered the questions that were raised. The full text of Rev. Smith’s conference can be found here. Fr. Gustavo Cavagnari SDB underlined in his greeting the importance of the topic, especially for those taking the Diploma in Inter-religious Dialogue and Ecumenism. Rev. Smith cited later the text “From conflict to Communion”, highlighting the five ecumenical imperatives presented in the document, and he concluded saying that we are all disciples of Jesus, even if we have different paths. Rev. Richard Amalanathan, SDB, moderated the questions and answers session, where time was given to all the participants seeking clarification and comments on the matters under discussion.